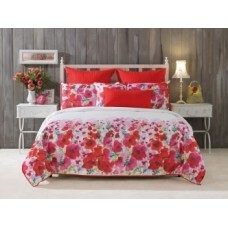 This stunning modern floral design features a bold colour palette. The quilt cover set features a flat piped trim. Mix and match with our red and hot pink vivid coordinates quilted accessories.